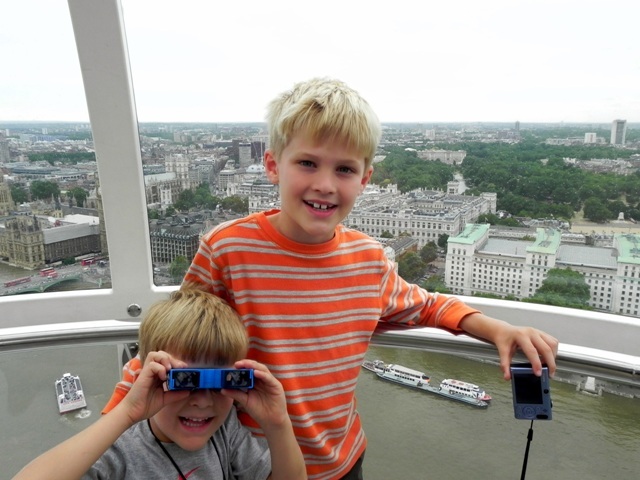 When the boys were all about the London Eye before our trip I was dubious. 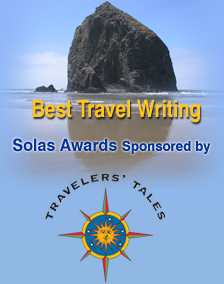 Expensive, crowded, tourist trap…these were the words that came to my mind. And yet as we approached it on the afternoon of our ride I realized that like the Eiffel Tower it has a beauty all its own that comes partly from the sheer grandeur of size, partly from the human folly that led to its creation, and partly from the tremendous feat of engineering that keeps it rotating in a circle that is somehow both efficient and lazy. 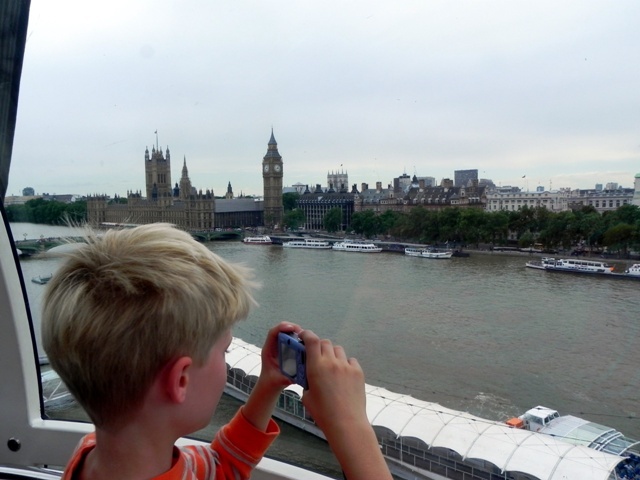 Travel-with-kids tip: If you will be visiting the London Eye at the height of tourist season as we did, it’s worth it to spring for the Fast Track tickets. Yes, they are almost twice as expensive. But we saved ourselves nearly two hours on line and the boys loved the little knapsacks they got each of which contained a pair of binoculars, a pencil, and a small pad of paper. 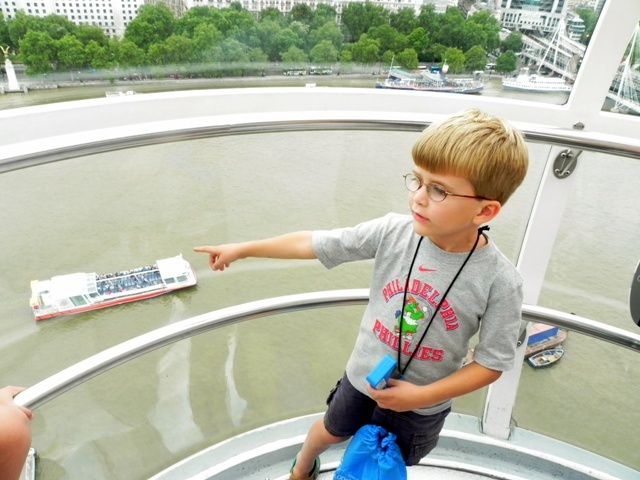 Teddy realized his dream in the London Eye of seeing a pod of dolphins in the Thames (that’s his story, and he’s sticking to it, thank you very much – if you or I didn’t see them, that’s our problem). He spent the first part of the ride searching for them diligently in the water using his binoculars. When he “found” them swimming alongside one of the tourist boats that move up and down the river he gestured excitedly and told everyone in our car that he had seen a pod of common dolphins and one bottlenose. Then he decided that like any good scientist he had to sit down and sketch his observations. And me? 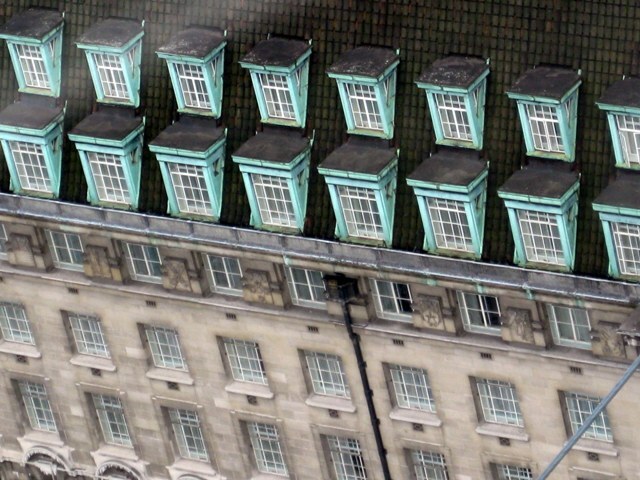 I simply enjoyed getting such a different view of a familiar cityscape. The spans on the Jubilee Bridge looked like violin strings or spiderwebs, so fine and white were they against the gray water. 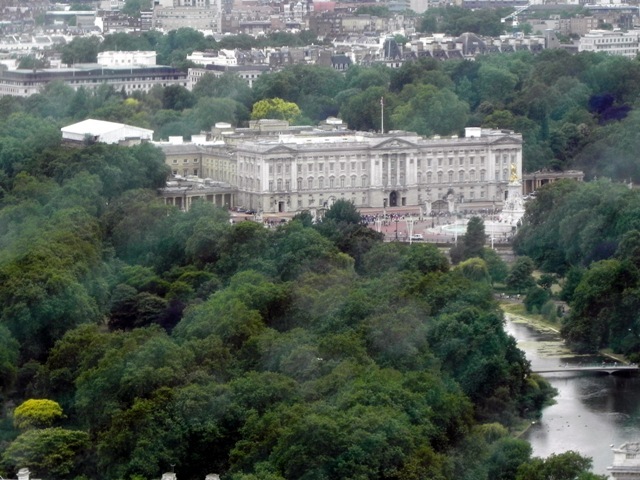 I’d never seen the front of Buckingham Palace so clearly, nestled almost cozily into the surrounding trees. 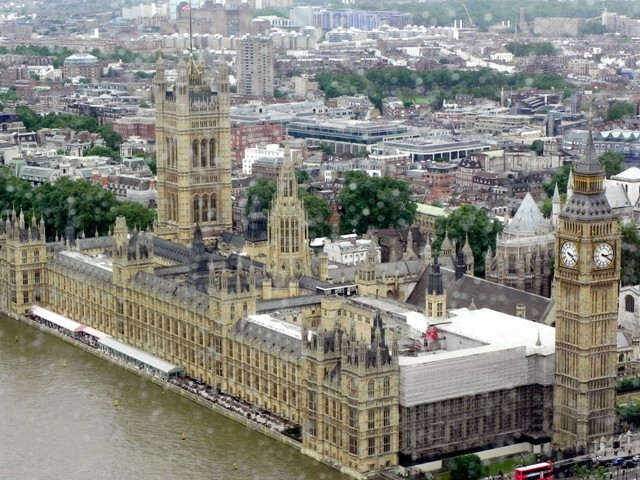 And I loved the rain-dappled Houses of Parliament. 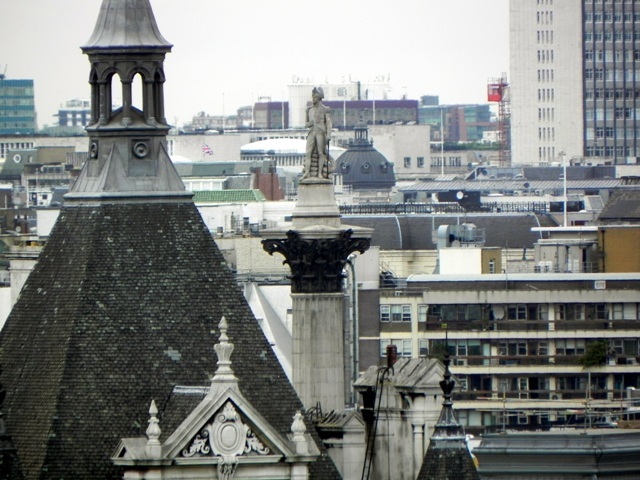 But my absolute favorite had to be seeing Nelson’s Column, normally so high above it all in Trafalgar Square, looking small (yet still self-important and imperious) tucked in amongst the buildings and cranes of an oblivious city. 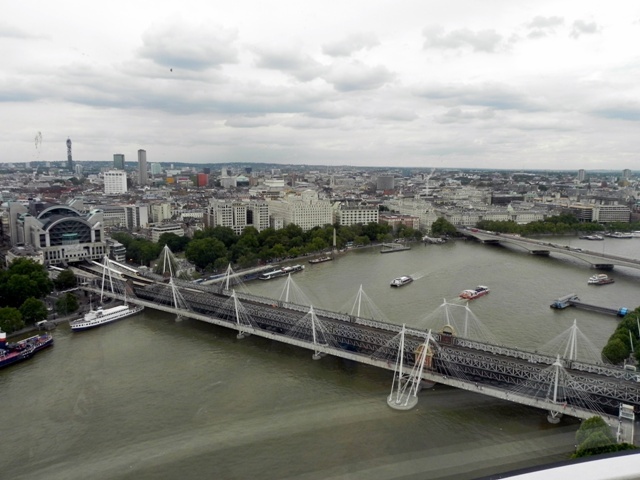 Riding on the London Eye was one of the dreamiest parts of our trip and I’m so glad now that the children persuaded us to take a spin. Have you any Monday dreams? Please feel free to share them below. Questions? See About Monday Dreaming. So glad you enjoyed it! 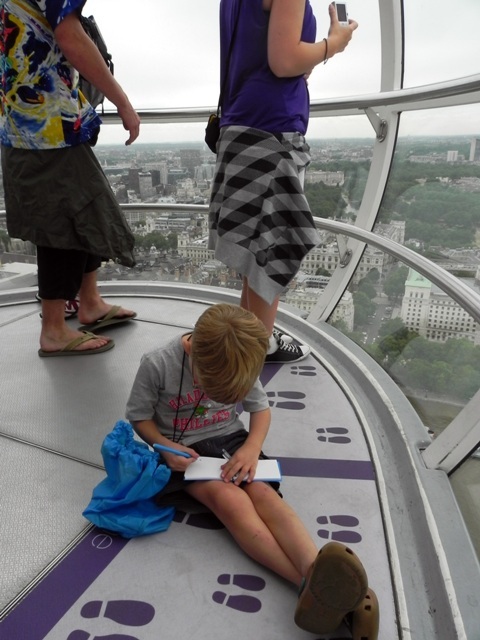 I am yet to meet a kid that doesn’t love a ride in the London Eye, including mine! 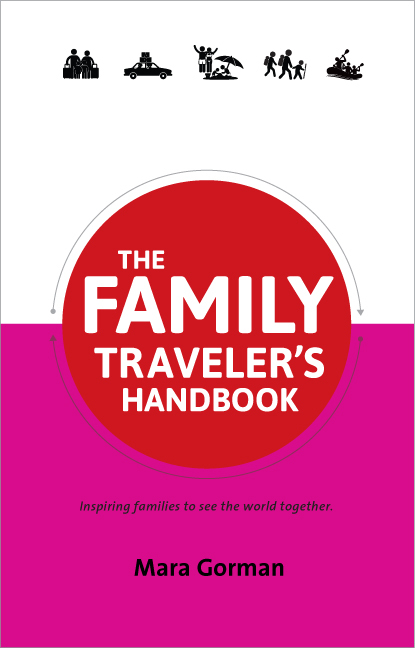 It’s amazing how you have a lot of fun wherever just because your kids are having fun. It’s just another of the joys of being a mom. 🙂 That sure sounds like a great family rip. Can you believe I have never been? 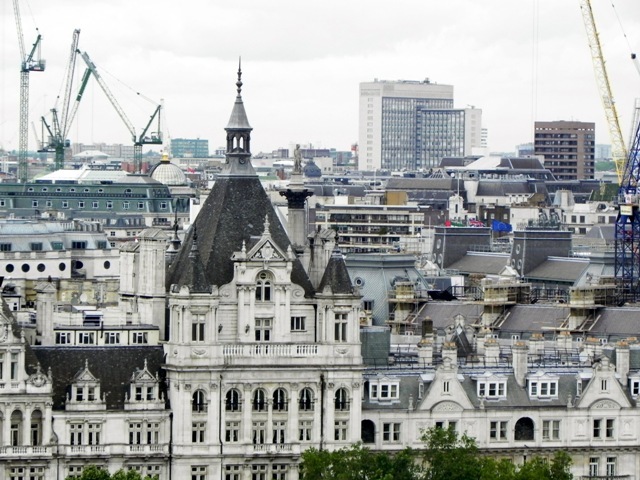 Yet I am madly and completely in love with London. My heart skips a beat just looking at your photos…aw, and my darling Teddy….I love that boy! xoxoxo Can’t wait to see you again…and thanks for sharing! Today, we are in Paris and she will go on the Ferris wheel here and be able to compare. 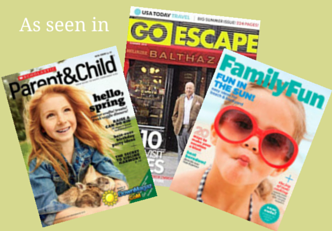 Getting a birds eye view is usually a sure winner with kids! 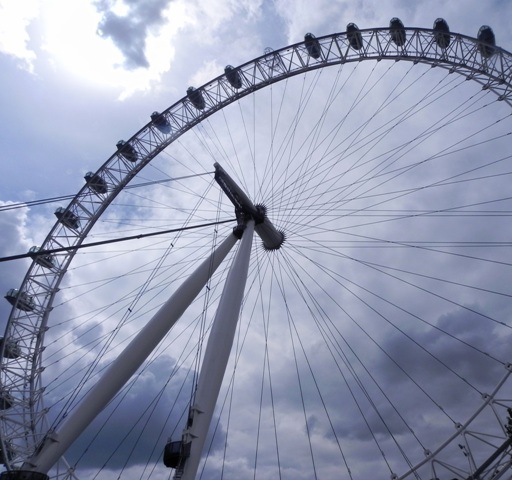 I have to say that the London Eye is my favorite tourist attraction in London, too. We rode on their once on Guy Fawkes Day – seeing the various fireworks from the air was totally awesome.